Samsung took the wraps off its much-awaited Galaxy Note 9 flagship smartphone at its Unpacked launch event. The device now comes with a larger screen, bigger battery, the Bluetooth-supported S-Pen and a lot more features. But, you must be wondering about when the Galaxy Note 9 is coming to India? Well, we have the answer to that. 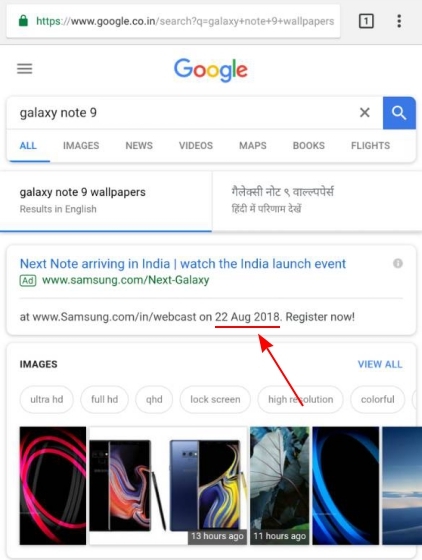 While googling the Galaxy Note 9, we stumbled across an official Google ad for the India launch event at the top of the search results. As you can see in the screenshot below, Samsung’s advert has revealed that the Korean giant is holding the Galaxy Note 9 launch event in India on August 22. The webcast link in the ad is not live right now and will return an error when you try to navigate to it. We’ve reached out to Samsung India to confirm the launch date and will update the story once we hear back from them. 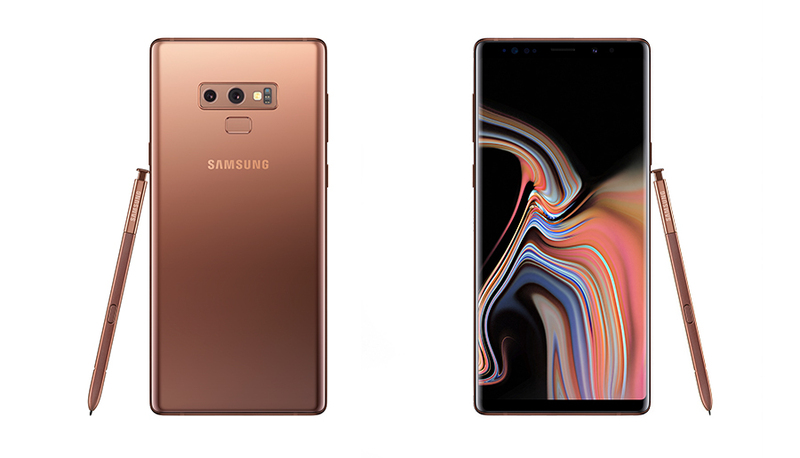 Boasting of a design much similar to its predecessor, the Galaxy Note 9 now sports a 6.4-inch Quad HD+ AMOLED screen. It is powered by the Snapdragon 845 processor (and Exynos 9810 for some markets), coupled with either 6GB RAM and 128GB storage, or 8GB RAM and 512GB storage. Coming to the optics department, the cameras on the Galaxy Note 9 are exactly the same as the Galaxy S9 Plus. This means you get a dual rear-camera module, with a primary 12MP wide-angle lens (f/1.5 – f/2.4 mode) and a secondary 12MP telephoto lens (f/2.4). There’s also the 8MP AF sensor, with an f/1.7 aperture on the front. We’re really excited to check out the Galaxy Note 9, which is a notable upgrade over its predecessor. Are you planning to buy the phone? Let us know in the comments below.